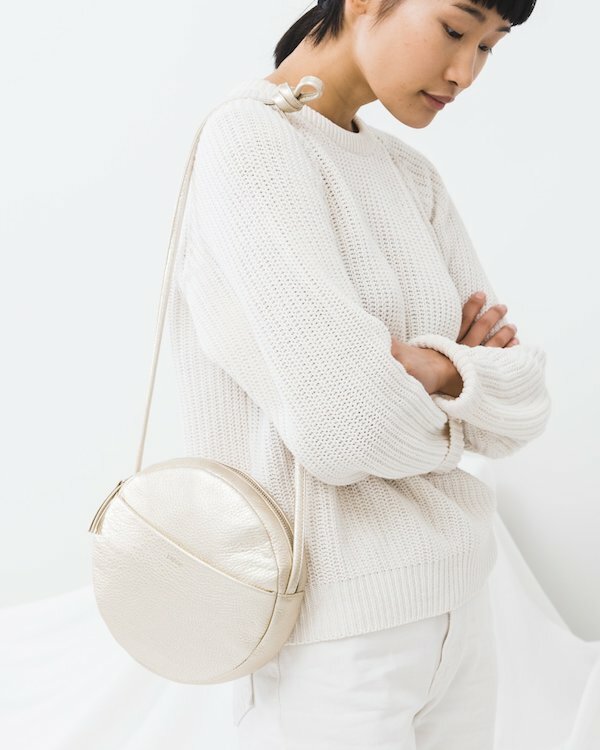 Baggu recently released their holiday collection and among my favorites is this darling platinum leather circle purse. It’s a perfect color for the chilly months—falling somewhere between gold and silver, it has a cool, crisp feeling and a smart style. Find it here.